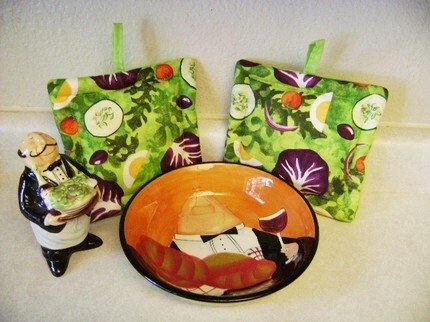 These cute Potholders with a tossed salad theme can be very functional in your kitchen as it can be used as potholders or as hot pads because of their thickness. They can be good gift ideas for someone you know who loves cooking like me. That's why I always fancy cute little things like this pair of 8-inch square potholders.